Mother's Day is this Sunday. How are you going to spoil your mom? 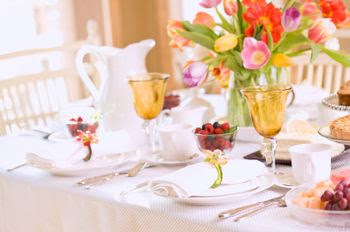 One of the best ways to treat her is by making her a delicious brunch. Since I am a mother myself, I didn't want to do a ton of cooking, so I had some of my other favorite bloggers do that for me! I have gathered up a selection to create a wonderful spread on Sunday morning. How's this for a delicious menu? These Strawberry Nutella Muffins are amazing!! Better yet, strawberries are in season! Stop by your local farm and pick some up. 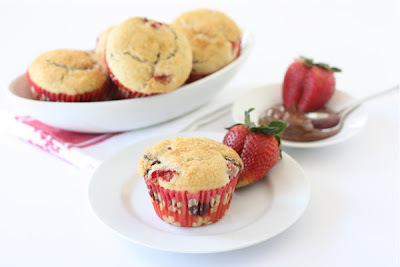 These are so easy to make and my entire family devours them. 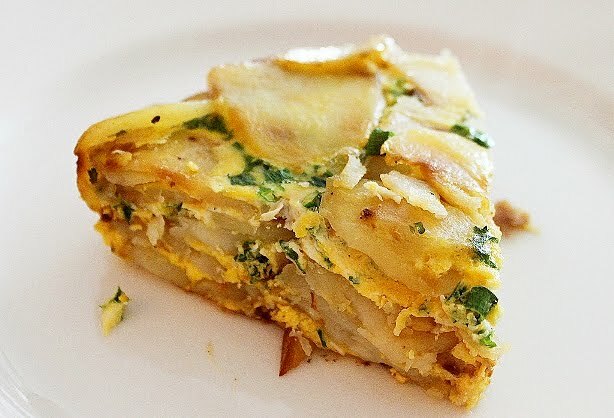 How delicious does this Potato Frittata look? Layers of russet potatoes, eggs, and herbs cooked together to perfection! How could it not be fantastic!?! 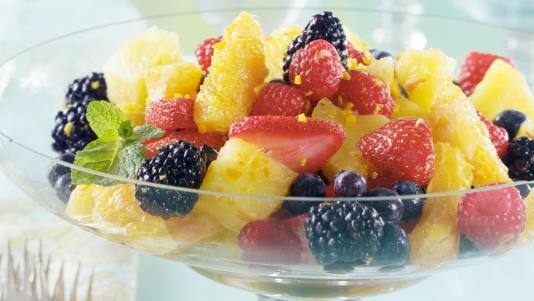 An easy delicious side to any breakfast or brunch is a fruit compote. Gather your favorite fresh fruits (we love strawberries, oranges, apples, pears, grapes, bananas, and blueberries), cut them into large pieces, and toss them with some cold, organic orange juice. It is delicious! What's a brunch without mimosas? This beautiful Blood Orange Champagne is a refreshing twist on an old favorite. The color is just divine and the flavors are fantastic! Hope you have a wonderful Mother's Day! Cheers! Don't forget to stop by again on Monday to see what I will be cooking next week! This salad is one from my childhood. Every New Year's Day, my extended family would have Japanese food (my mother is Japanese). We would only have this food one day a year, and this salad was an integral part of the assortment. As I got older and started taking on the responsibility of preparing that New Year's food, I realized how simple this salad was! It made me wonder why we only saved it for this special occasion. There are literally five ingredients to this salad and four ingredients for the dressing. Best of all, it takes 5 minutes total to prepare. What could be easier? It is such a wonderful side to any asian dinner. It is light and refreshing. Cabbage is such an under-utilized leafy vegetable (outside of coleslaw), and this is a wonderful way to bring it back to your table. The most important thing about this dish is to prepare it the night before. That allows enough time for the dressing to be absorbed and the flavors to really develop. I truly hope you take these few ingredients and share this salad with your family. You won't regret it! Cut the cabbage into wedges and run it through your food processor's slicing disc. You could always chop it by hand if you prefer. In a large bowl, combine the cabbage, green onion, almonds, sesame seeds, and ramen noodles. In a small bowl, combine the oil, sugar, pepper, and rice vinegar. Whisk to combine. Pour the dressing over the salad and toss to coat evenly. Cover and store in the refrigerator overnight. I became a vegetarian only 6 years ago, so I had decades of meat-centered meals to re-imagine (with lots of pressure to make food my meat-eating husband would still like!). Beef and broccoli is a dish he grew up with and loves to this day. It was a tall order to try and make a vegetarian version of it, but I actually succeeded! One item that is a vegetarians best friend is Gardein. It is a line of plant-based (non-GMO) meat substitutes. I know, sounds tantalizing, right? But they are fantastic! Even the omnivores in my extended family love their products. They are available in most grocery stores and are even expanding the array of restaurants in which they are offered. The products cook up like real meat and have a wonderful texture to them. If you have never tried it, I really encourage you to give it a shot! This is a wonderful and easy meal that will satisfy the entire family. My daughter loves anything served over rice, so this was a huge hit from the beginning. I've never tried this recipe with real beef, but I'm sure it would be delicious! Let beef set for 10-20 minutes to slightly defrost. If it defrosts too much, it will be more difficult to handle. I find the beef tips are a little too big for this dish, so I cut each piece in half. In a large bowl, combine 2 1/2 Tbsp of the cornstarch with the garlic powder. Add the beef and toss until the pieces are evenly coated. Heat 1 Tbsp of oil in a large skillet over over med-high heat. Add the beef and saute, stirring occasionally, until each piece has a dark crispy coating. Set aside. Heat the remaining 1Tbsp olive oil in the same pan. 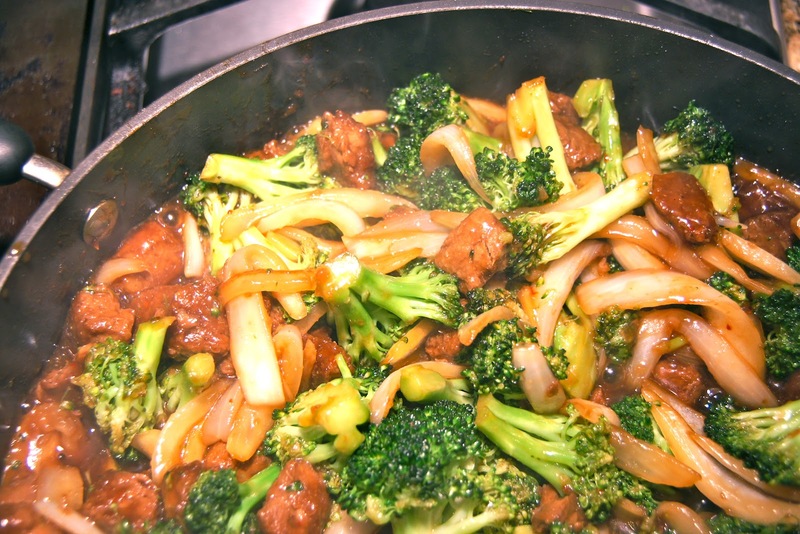 Cook the broccoli and onion for 5-10 minutes, or until crisp tender. 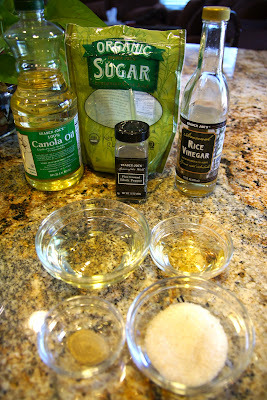 While the vegetables are cooking, combine the soy sauce, brown sugar, ginger, and remaining cornstarch in a small bowl. 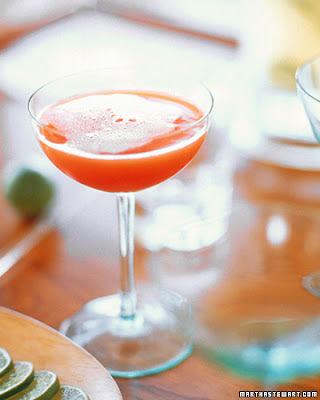 Whisk until smooth. Return the beef to the skillet and add the sauce. Stir to combine and cook for an additional 2-5 minutes. We will be enjoying the strawberries and tangerines for dessert.